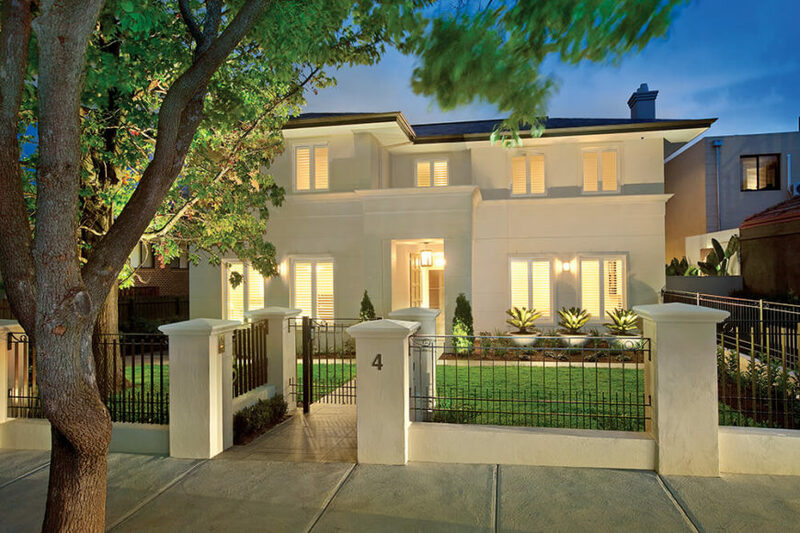 Welcome to our gallery featuring the exhilarating, modern Hawthorn House, a project. 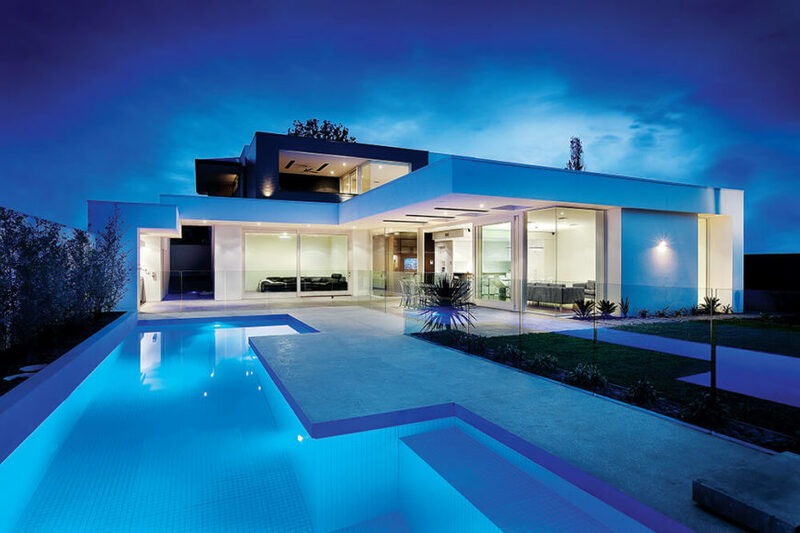 This home was designed with swimming pool integration as the central theme, with a modern open-plan layout hugging an exquisite pool design. The two story structure has it all, from a unified glass facade to dark timber polished floorboards running throughout the richly detailed interior. The white walls on the interior and exterior help unify the presence of the home within the landscape. The home interior centers on a broad open-plan space that integrates a living room, dining, and kitchen area. This space is entirely wrapped in glazing, with a massive sliding glass panel that opens toward the patio. This fully-open design ethos is a major component of what makes the home unique, and helps blend it within the landscape. When slid completely open, the line between inside and outdoor spaces vanishes. The patio itself is mostly sheltered by a wide roof extension, dotted with recessed lighting and large skylight cutouts. Across the patio, a semi-complete outdoor kitchen set fills in the picture, and helps to further conflate the indoor and outdoor areas of the home. Moving deeper inside, a lower level cellar heighten the sense of luxury with a rich all-wood layout, wet bar, and extensive wine racks throughout. This dark toned luxury contrasts with the bright whites seen throughout the rest of the home. Integrated Pools also completed the stunning C-shaped pool house at the far end of the property, perfectly bookending the entire landscape in a thoroughly modern style. We love the way that the entire structure, including landscape, is crafted into a cohesive experience from end to end, and the way the home design meshes sympathetically with the patio and pool. We hope you feel as awed and inspired by this unique modern home.